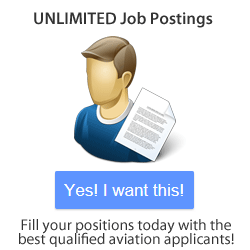 Advertise all of your jobs and reach the highest quality aviation candidates. Browse our broad portfolio of active resumes and quickly fill your vacant positions with talented professionals. Avjobs helps find more applicants and improve your marketability.